Achieved the restriction that a large bancor transaction cannot exceed the 1% of the total amount. Resolved the issue in large margin simulation calculation. Implemented the initialization of bancor with real-time transaction data. Completed test verification of bancor algorithm. Fixed the bug of gateway and bancor exchange. Optimized the logical judgment module of the application page to be a gateway candidate. Improved the logic function of searching smart contracts. Improved the top-up logic and fixed the bug caused by the top-up module. Completed refactoring asset issuing module of the iOS wallet and submitted it to test. Completed the development of auto-upgrade module of the iOS wallet. Testing the Android wallet V1.4.5. Completed the auto-update function of the Android wallet and the registered assets interface. The Trivia Quiz event in the Vietnamese community has been successfully held for two weeks! 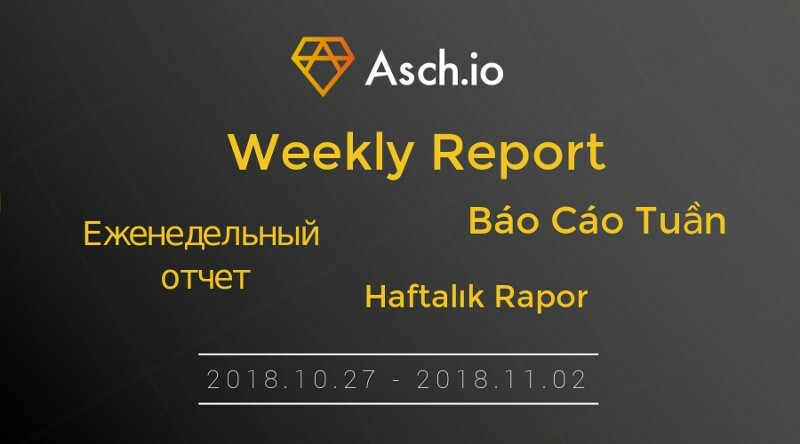 During the event, the activity rate of the Vietnamese Telegram Group was greatly enhanced, and the Vietnamese community got a deeper understanding of ASCH through 20 weekly questions about ASCH. Below are the winners of the past two weeks, and the awards will be issued during the following week.